Lynch Creek Dahlias: Lynch Creek's Prettiest Red Dahlia Half Price Now! 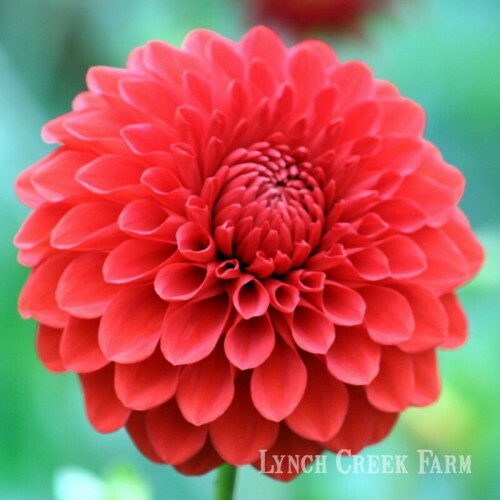 Lynch Creek's Prettiest Red Dahlia Half Price Now! Audrey Grace dahlia tubers are ON SALE! • Amazing color. Not just red, Audrey Grace is a luminous scarlet that tends toward coral and orange. Its unusual hue is brilliant, but blends beautifully with other summer-to-fall colors, Lynch Creek Farm CEO Andy Hunter advises. It's a stunning addition to a mixed planting, pairing beautifully with peony-type dahlia Japanese Bishop or with smaller formal decorative Mardy Gras. Audrey Grace steals the show in bouquets. • Prolific blooms over a long season. A formal decorative dahlia in the "small" category, Audrey Grace has full, rounded blooms that measure a good four inches across, sometimes more. While we love it in the garden, Andy says it's most valued at Lynch Creek Farm as the quintessential cut flower. "We use this one daily in our flower bouquets all summer," Andy says. 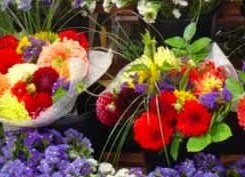 Good substance and strong stems make it ideal for arranging and it lasts well in water. Audrey Grace is a gorgeous dahlia in the garden. • A compact, sturdy growing habit. Audrey Grace grows to four feet, and makes an attractive presentation in the garden. It makes good growth, and bears its flowers on strong stems long enough to be useful in bouquets. 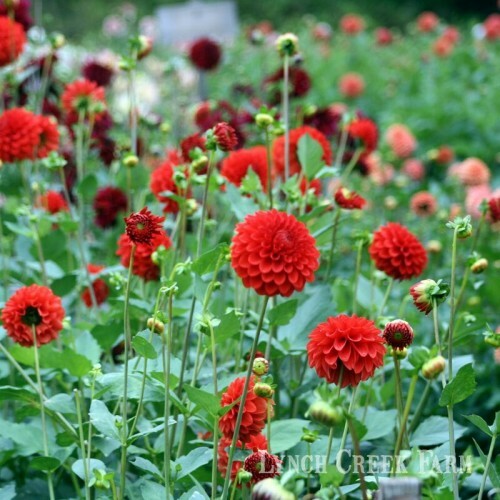 It grows good new tubers each year, too; the best evidence of that vigorous growth habit is the fact that once again, despite the demand for this standby dahlia, Lynch Creek has an abundance of healthy tubers. One of the featured dahlias at Lynch Creek Farm, Audrey Grace is available at an amazing bargain price for dahlia tubers. Ordinarily priced at a modest $5.50, it's currently selling for $2.75. That's right, it's HALF PRICE! You couldn't make a better investment for your summer garden.